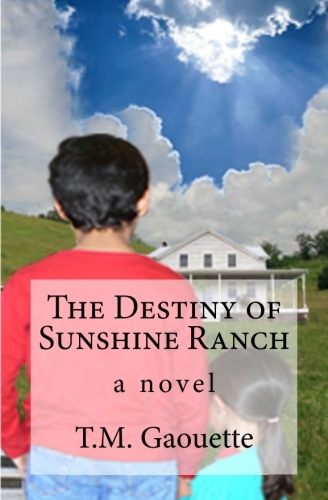 The Destiny of Sunshine Ranch is available at many online and offline retailers such as Barnes & Noble and Amazon.com, and through distributors such as Ingram and Baker and Taylor, as well as CreateSpace Direct and directly through the author. Visit book business page for inquiries. Bulk order pricing available upon request. Visit book business page for more. It is a well written book about what is can be like to be a foster child in the system. Many of these children are shuttled from one family to the next with little to no warning. Many carry their few possessions in a plastic trash bag. What a terrible feeling that must be, and what kind of message are we giving these children! 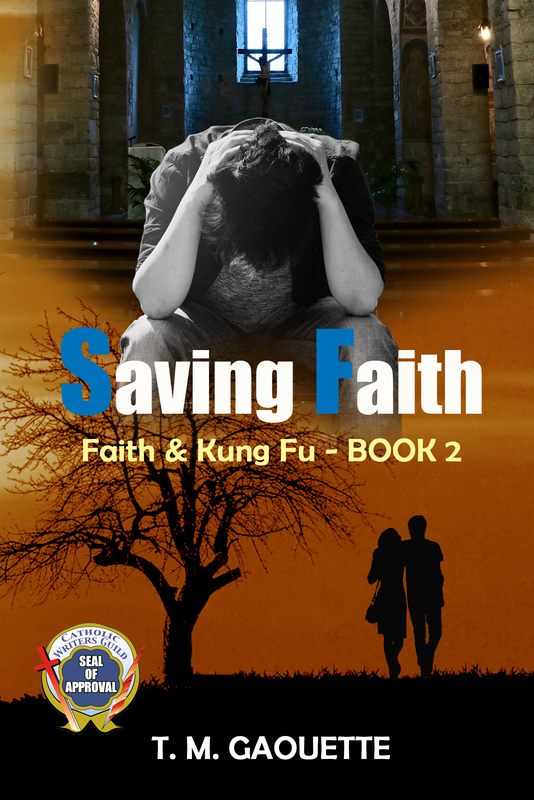 This book give insight into the life of a 10 year old boy who is in the foster care system. It accurately portrays the feelings and emotions that many of these children have to deal wit; and how those feelings and emotions shape their reactions to things. The book shows how with love, understanding, patience, and a reliance on God, these children’s lives can be transformed. It is a book you won’t want to put down. Thought this was a well written book, with clear sharp characters, lovely visual scenes and a few surprises. The patience of Martha & David was beautiful and the way in which God’s love was woven into everyday life was the reason they were successful. Sometimes lemonaide takes time to accumulate lemons is longer than you think; The Lord teaches us patience and real family love with this delightfully written book. Good job, TMG !! And I especially LOVE the Cover picture! journey and your in safe hands.” The children in the book you could relate to, as well as a few giggles along the way. 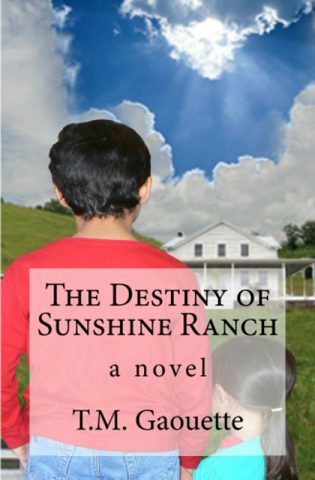 The Destiny Of Sunshine Ranch keeps the readers wanting more. I will freely admit – even though this book is written for teenagers, I was taken in fairly quickly. The characters are well developed and likable, which made me want to see how things turned out for them. I usually have a pile of serious tomes stacked up for my free reading time, and most are non-fiction titles. It was an absolute pleasure to immerse myself in this story. Benedict is the main character, and he is introduced immediately. He’s only ten but he has had quite a rough life. When he arrives at the ranch he isn’t exactly sure what to make of it – or the oddly happy people living there. While the stories of the other children all intertwine through Benny’s, the focus always returns to him. 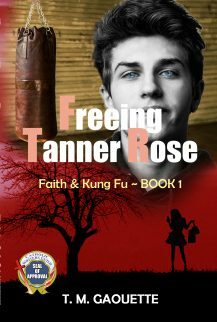 He is a stubborn young man – bound and determined to avoid faith, refuse to trust, and to keep everyone at an arm’s length. He is determined not to become attached to this new home or it’s inhabitants, even though Sunshine Ranch is everything he has ever wanted or hoped for. Of course, just like the rest of us, this patched together family has it’s share of ups and downs, joys and heartbreaks, worries and woes. Through the characters we see the contrast between reactions based on faith, and reactions rooted in fear. The story also shows the detrimental effects that come from holding on to all of our hurts and our worries. It is not an easy way to live! Thankfully, readers will also see the profound joy that accompanies conversion. I am sad to say, there have been times in my life when I have been like Benedict, and I know many Benedicts today. Many “Benedicts” will show up in the pews during these days of the Triduum – and I pray that this is the year they decide to stay. 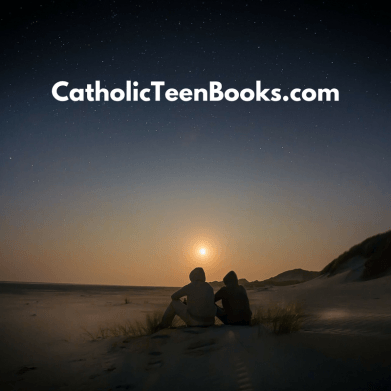 While the book is not drenched in Catholicism, it is clearly the faith of the Credence family and it is mentioned occasionally, throughout the pages. Even so, I think it would be an appropriate book for a teen of any faith to read. As a mom, I can easily recommend this novel for teens. The plot is interesting, and there is just enough turmoil to hold the attention of younger people. There are a few minor plot elements that could probably not happen in real life, but for the sake of the story, they work. When I’m reading or watching a movie, I allow a little bit of creative license – and these minor blips would probably not register with an average teenager.